You will be picked up from your hotel in Cusco at 4:45am (04h45) and travel through the Sacred Valley of the Incas until you arrive to Ollantaytambo train station where you will board the train to Machu Picchu. The train from Ollantaytambo to Machu Picchu is one of the most incredible train journeys in the world. Following the route of the Urubamba River all the way to the cloud forest that surrounds Machu Picchu, you will enjoy the beautiful scenery of the high Andes throughout the entire journey. Upon arrival to Machu Picchu Pueblo (aka Aguas Calientes) you are met by your guide who will brief you and prepare you to visit the "Lost city of the Incas", the Machu Picchu citadel. Upon arriving at Machu Picchu citadel, you will receive a 2.5 hour guided tour of this enigmatic and mystic place which is now considered one of the new 7 wonders of the world. Once your tour is finished, you you will have time to visit Aguas Calientes on your own before taking your train back to Ollantaytambo where you will be picked up at the train station to take you back to your hotel. 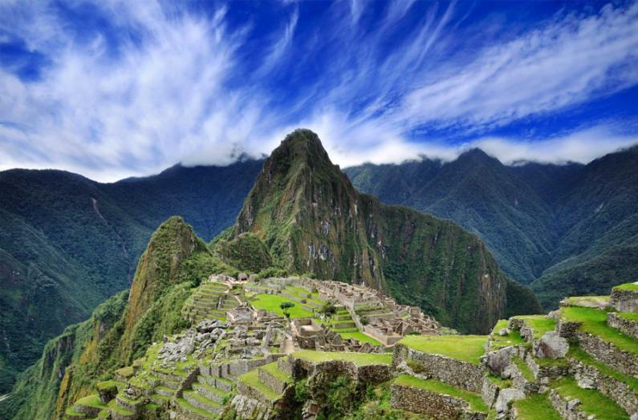 The Machu Picchu Tour is rated EASY. However, it is important to feel comfortable walking for extended periods of time 20 minutes at a time approximately. The Machu Picchu Citadel Tour from Cusco departs daily and it is available year round. The months of January, February and March are in the wet season, please bring a good rain jacket and waterproof your belongings. • If you cancel or change the date of your tour with 10+ days of advanced notice, you will incur a $180 dollar cancelation fee per person.